Systematic Investment Plans (SIPs), were the poster-child of mutual fund investors, but recently lower returns have dulled the shine. What are the reasons for this disappointment? Those who had started SIPs about a year ago are perhaps yet to break even. SIPs have generated disappointing returns for many investors over the three-year and five-year timeframes as well. Are your long-term goals such as retirement planning at risk? Did you start investing in SIPs to achieve your financial goals? 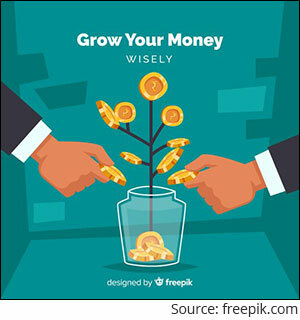 What is the rule of thumb for mutual fund investments? But patience with wrong funds is the biggest mistake most investors make. Some investors have started to draw an incorrect conclusion. They've begun to believe that passively managed indexed funds are better alternatives to actively managed funds. Should you stop your SIPs in actively managed funds? If you want to suggest that you are unintelligent, then perhaps yes. The fact is SIP remains an effective mode of investing as it was even five years ago. By opting for SIPs to invest in mutual funds you mitigate the shocks of volatile equity, and invest regularly and systematically, which in the long run can help you build a corpus to accomplish your financial goals, such as retirement. But then, why have SIPs generated disappointing returns for so many investors? The answer lies in the choice of mutual fund schemes you add to the portfolio. SIPs started in the S&P 500 between April 2014 and March 2019 would have fetched only 7.9% CAGR returns. Wouldn't you be better off if you invested in passively managed funds through SIPs? Here's a myth buster for those who believe so. Please remember, SIPs can help you average out costs and accumulate more units vide the rupee-cost average feature. However, the ultimate success of your mutual fund portfolio depends mainly on how the constituting mutual fund schemes have performed. PersonalFN did a comprehensive study of mutual funds to understand how SIPs started in various funds five years ago performed at the beginning of March 2019. Deeper analysis suggests that some fund houses have performed well across their offerings and have managed to beat returns generated by S&P BSE 500 over the last five years. These include Axis Mutual Fund, Invesco Mutual Fund, Mirae Mutual Fund, Canara Robeco Mutual Fund, and Edelweiss Mutual Fund. On the other hand, some mutual fund houses such as UTI Mutual Fund, Aditya Birla Sun Life Mutual Fund, BNP Paribas Mutual Fund, DSP Mutual Fund, and L&T Mutual Funds have faltered vis-a-vis the returns of S&P BSE 500 in many of their schemes. What our SIP analysis highlights? You might save judiciously, but if you select the wrong mutual fund schemes, fulfilling your financial goals despite investing through SIPs is a long shot. If you invest in the right funds, SIPs in the long-term can generate extremely attractive returns and can help you accomplish your envisioned financial goals. Fund houses performing well across schemes are more dependable than fund houses having one-off outperformers among the schemes they offer. Therefore, it is important to evaluate the proportion of AUM actually performance vis-a-vis the total AUM. Further, it is important to judge how consistently the mutual fund scheme in delivering a return. This is not to say that consistent performers over one year will always remain the consistent performers next year too, it has to be observed time periods and market phases. Selection of right mutual fund schemes isn't an easy task. It requires a lot of skill and effort. Depending on friends and family members for advice might cost you your financial goals. PersonalFN follows a comprehensive mutual fund research process encompassing both quantitative and qualitative parameters. How to pick the best to invest via SIPs? You need to do a lot of data crunching, assess the risk-returns, expense ratio, portfolio characteristic vis-a-vis other schemes and study a number of qualitative factors. PS: Want superlative research-backed guidance to select the best mutual funds schemes to SIP into? Don't worry. PersonalFN is offering you three premium research reports at a price lesser than that of your favourite coffee. These research reports will provide you superlative guidance to select worthy mutual fund schemes to SIP, the ones that have the potential to provide BIG gains, and the ones for your tax planning this year. Click here for PersonalFN's recommendation and subscribe now! Equitymaster requests your view! Post a comment on "Poor Performance Of SIPs Can Cost You Your Financial Goals". Click here!